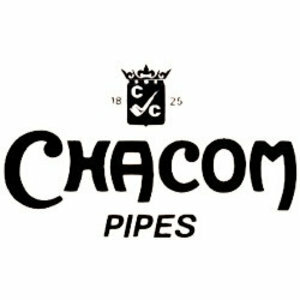 Smooth briar pipe in a semi-matte finish made in France by Chacom. Yellow acrylic mouthpiece with a chrome ring. Made with 9 mm. filters or without with the free adaptor.